Cimarron Golf Club, a par-72 daily fee facility in Surprise, Ariz., features water and sand amid a desert environment. Situated in the Phoenix area's West Valley, the Greg Nash design opened in 2003. The golf course offers discounted rates and membership opportunities for residents of Sun City Grand. 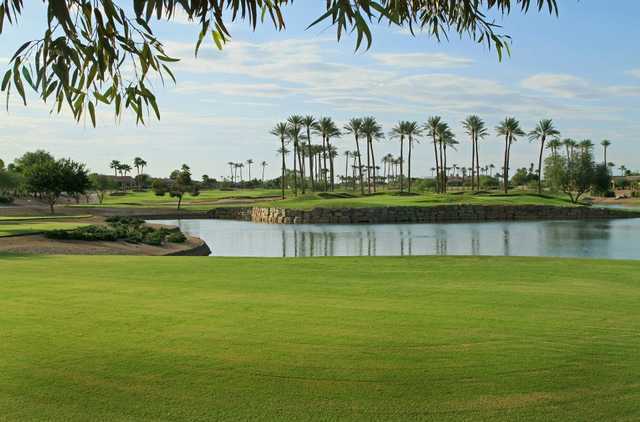 Cimarron Golf Club, a par-72 daily fee facility in Surprise, Ariz., features water and sand amid a desert environment. Situated in the Phoenix area's West Valley, the Greg Nash design opened in 2003. 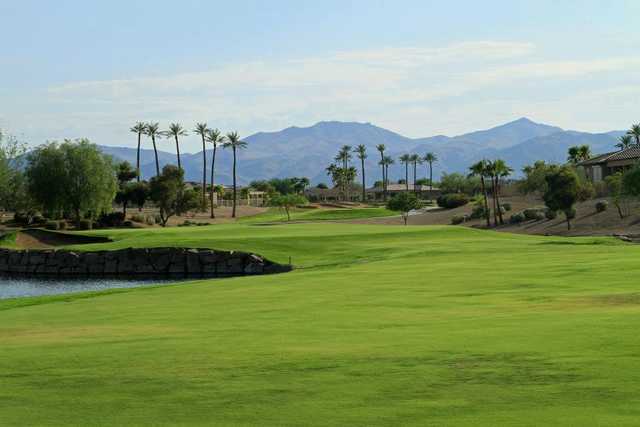 The golf course offers discounted rates and membership opportunities for residents of Sun City Grand, a retirement community built around the 18-hole facility. Four sets of tees start at 5,249 yards, with the championship tees measuring 6,809 yards. Cimarron features a 71.6 rating and a slope of 127. The golf course closes for three weeks in October and early November for overseeding. I golfed 3 rounds and the same guy was rude all three times.